Excel 80 is one of the coolest patterened, eye appealing, balanced sons of the popular I-80. His full sister was Champion Bred & Owned at the 2012 Maine Jr. National. He is smooth and stout with added depth, capacity, and performance. 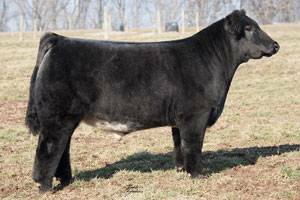 His low BW and double clean status make him ideal to use on heifer or in a variety of different situations.